Rome Language: Learn the basic words and phases. The purest Italian is found in Florence, home of Dante and Boccaccio, whose writings were the basis for standard Italian. 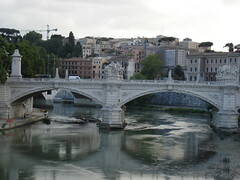 Rome, however, is the centre for one of Italy’s two most distinctive dialects (the other is in Naples). Even the Romans will admit to the harshness of their accent, but the sound of the language is made up for by the liveliness of the local expressions, many of which are too rude to find a place in this guide. There is even a restaurant in Rome, La Parolaccia in the Trastevere district, where insults and gags in different dialects are exchanged. There are plenty of local terms – the metropolitan police are referred to as ‘pizzardone’, and the name of the Rome football team ‘Lazio’ is often used as a strong term of abuse. In Rome, L100 is called Una Piotta, L1000 Un Sacco, and L5000 Uno Scudo. Even without the wealth of confusing expressions, Roman dialect is hard to understand, as not all syllables are pronounced. Fortunately, most professionals will minimise their use of dialect for the sake of foreigners (including Italians from other regions) and some speak French or English. How are you? - Come sta? Where is ellips;? - Dov’è ellips? There are now some great language courses like Rosetta Stone that makes learning the basics of a language fairly easy.